I am a professional artist specialising in producing beautiful painted portraits of your horses and dogs from photographs that you will cherish forever. 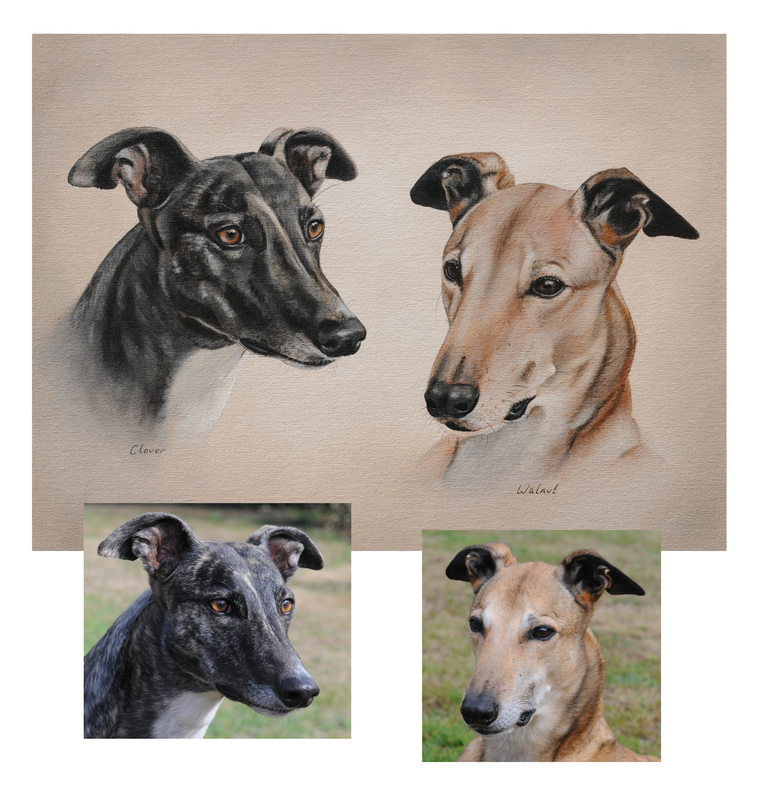 My affection for my subjects enables me to bring to life a truly beautiful portrait, depicting the character, personality, and expression of each commission painted. 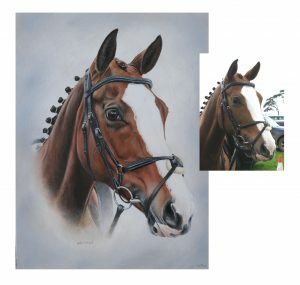 Every portrait is produced with the greatest attention to detail and all orders guaranteed to capture the animal’s character, I have not had a single disappointed client to date, and I ask for no payment until the finished painting has been seen and approved. 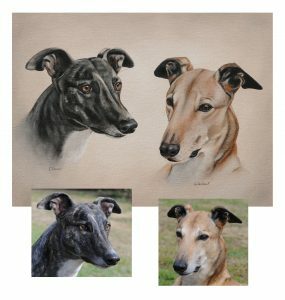 I paint from photographs, which I prefer to take myself. I like to meet the animals and photograph them in their own home, where they are relaxed and comfortable. This gives me a chance to get to know their personality, a huge part of what goes into the portrait. However, if this isn’t possible then I may be able to work from one of your own photos- providing the quality and composition are good enough. Commissions vary for completion time, purely down to my current workload, so it’s best to give me as much time as possible to avoid disappointment, it can be anything between 2 and 12 weeks, with the run up to Christmas usually being my busiest time. Gift certificates are always an option if time is tight.